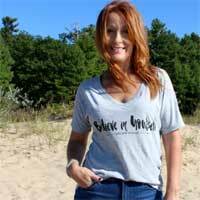 Rebel Spirit is a small company in Traverse City Michigan with a big mission of empowering people. Every affirmation is meant to empower, and that is felt and seen in every design. 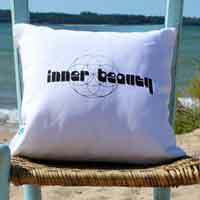 Some of the designs on the shirts and pillows include I AM, Believe in Yourself, fearLESS, Inner Beauty, Unapologetically Me, and more. 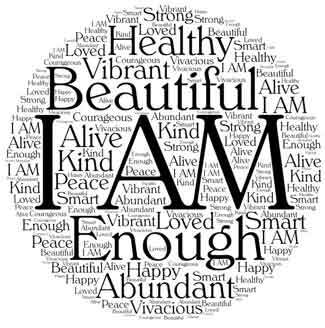 A personal daily mantra of Rebel Spirit for Empowerment from Within is: Breathe. Believe In Yourself. Repeat. You’ve Got This. It occurred to Samantha Hoffman, owner of Rebel Spirit, while scribbling an affirmation onto a sticky note, that soon her world would be covered with little yellow squares. But, she needed those affirmations. She needed the reminders. Life gets busy and chaotic and these little words of empowerment helped center Samantha. She thought, how nice if the sticky notes were simply stuck to me. And that is how this little empowerment affirmation company started. From there, her and her daughter started designing wearable affirmations that would help remind us of our own purpose, power, and potential. In all that they do, in every design they make, Rebel Spirit wants to help women to know that they are enough. And to rebel against the notion that they’re not. They want everyone to love who they are. To look upon themselves with a whole lot less judgement and a whole lot more love. So whether your wearing one of the super soft tops or using one of the pillows, you are displaying those reminders and support to believe in who you are – just as you are. 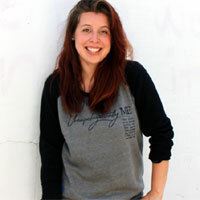 Rebel Spirit is an empowerment company – 10% of profits go towards organizations that help empower others. Buy Rebel Spirit Empowerment Apparel and Decor!